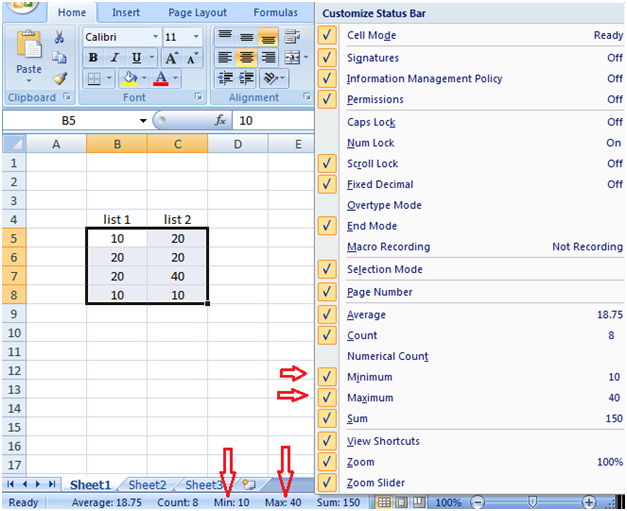 There are some quick functions in Excel that can provide you the statistics of your worksheet without using formulas such as Status Bar quick functions. 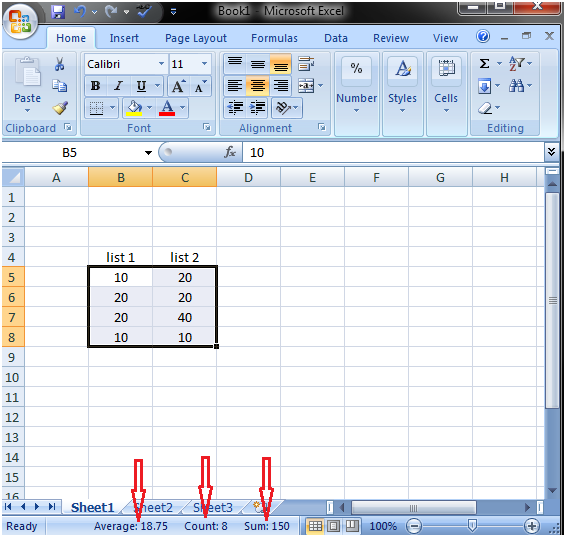 See the image given below, as soon as you select the desired range you will get the statistics in the status bar, the average of numbers, the number of cells that contain values and the sum of numbers. By a right click on the status bar you can customize it. You can add more functions in the status bar. Select the function from the menu which you want to add in the status bar. See the image shown below, status bar is customized. It is also showing maximum and minimum of the numbers.